A paper doily makes an ideal stencil for upcycling Firstpharmacyuk.com a piece of furniture. Paint the stool legs, side and underneath the seat with two coats of blue water based eggshell paint (leaving to dry in between coats). Once dry, then paint the top of the seat with two coats and leave to dry. 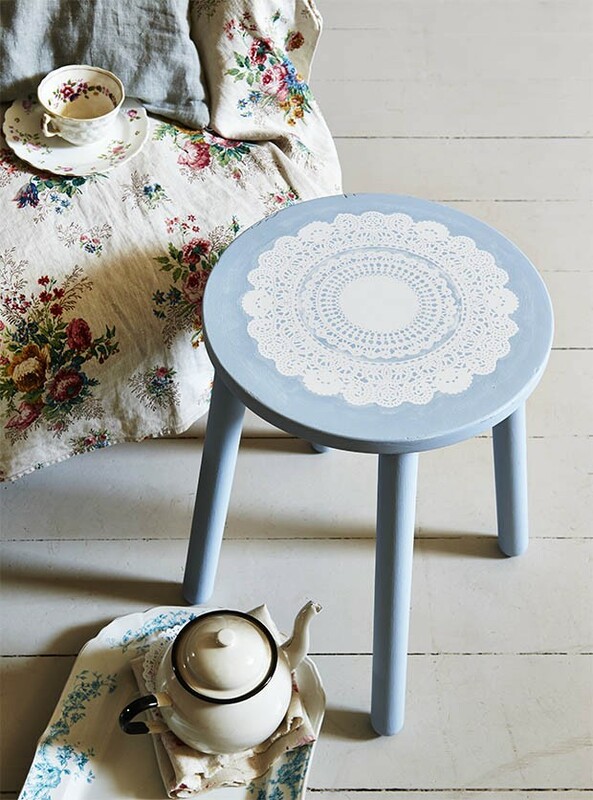 Place a paper doily in the centre of the stool (you may wish to secure with non-tacky tape to hold it in place and make this part of the process easier). Dab contrasting colour paint (I used white) over the doily using a flat end stencil brush or a sponge. Carefully peel away the doily to reveal the pattern beneath. Leave to dry. You may wish to add a coat of clear matt varnish to seal and protect for a durable finish.